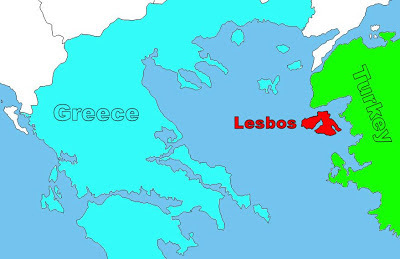 The island of Lesbos, according to wikipedia, is heavily forested in parts and has two mountainous peaks. Lesbos is the birthplace of Greek poet Sappho, who is best known for her powerful and emotional works directed towards fellow Lesbos islanders. Since 1912, Lesbos has been under Greek rule and has been flying the Greek flag, even though they are considered to be an independent state in their own right. 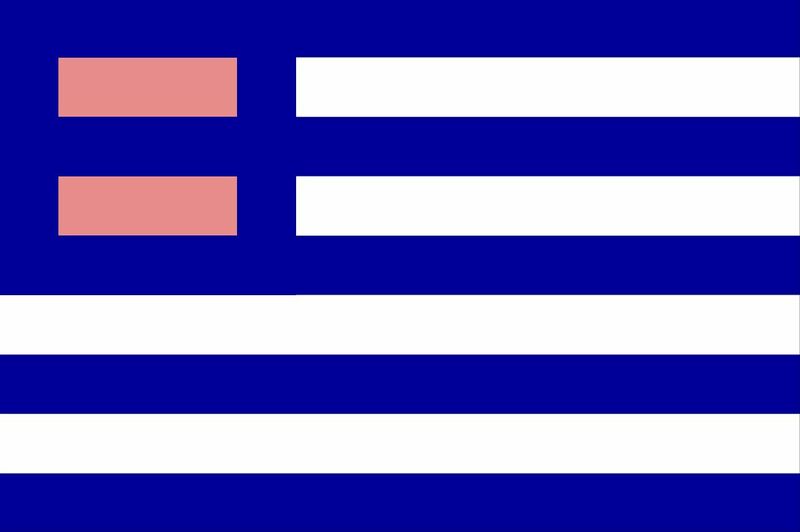 In 2012 to commemorate their 100 years as a Greek Island the committee for Lesbos affairs commissioned the design of a new flag, which is due to be unveiled later this month to coincide with the peak of the tourist season. The design is based upon the original Greek flag with the top left corner modified to reflect the unique character and celebrate the individuality of the Island of Lesbos. What do you think of the new flag? Use the comments section to share your thoughts.